Mumbai: Shares dropped for the second straight session on Tuesday and closed down 1.27%, falling the most in ten days, led by losses in ICICI Bank, as investors continued to take profits after last month’s rally. The main 30-share index ended down 224.18 points at 17,480.83 points, with only seven of its components advancing. The shares had posted their biggest monthly gain in seven months on Monday. “The market is generally circumventing after the rally that has happened in the system yesterday and last week, and to my mind, it’s correcting... So, it’s a healthy correction," said Deven Choksey, chief executive officer at brokerage K.R. Choksey. The country’s No. 2 lender, ICICI Bank, closed down 3.88% at Rs895 on profit booking, traders said. The stock had risen as much as 2.2% in the previous session after it reported a better-than-expected quarterly profit. Shares in Maruti Suzuki, India’s largest carmaker, fell nearly 1% after its October vehicle sales more than halved. 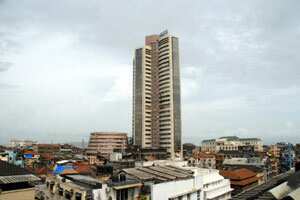 It pared all losses to close up 0.73% at Rs1,133.50. The company, 54.2% owned by Japan’s Suzuki Motor Corp, ended almost two months of strikes last month, after losing production of over 80,000 cars and seeing its market share shrink to 40% from over 50% a year previously. Shares in ACC, India’s No. 2 cement producer, closed down nearly 1% to Rs1,184.15 after it posted a lower-than-expected quarterly net profit. Rivals Ambuja Cements, which is expected to report results later in the day, and Jaiprakash Associates also lost 0.29% and Rs1.87, respectively. Cigarette maker ITC fell 2.28% after a report the finance ministry is exploring plans to impose additional levies on cigarettes, two institutional dealers said. The 50-share NSE index ended down 1.29% at 5,257.95 points. In the broader market, 934 losers outpaced 500 gainers on total volume of about 552.4 million shares. “Worries over MF Global are keeping traders on (their) toes, 5,200 will act as a good support for Nifty, while resistance lies at 5,320," said A.K. Prabhakar, senior vice president of research at brokerage Anand Rathi Financial Services. MF Global Holdings, the futures broker that made big bets on European sovereign debt, filed for US Chapter 11 bankruptcy protection, making it the biggest US casualty of the euro-zone crisis. The MSCI’s broadest index of Asia Pacific shares outside Japan fell 2.63%, while Japan’s Nikkei was down 1.70%. • Shares in Hindustan Petroleum Corp Ltd closed up 0.74% after a top official said the state-run oil refining and marketing firm is considering a further increase in petrol prices to cut down losses. Bharat Petroleum Corp Ltd and Indian Oil Corp also closed up 1.03% and 1.37%, respectively, after the news. • Shares in infrastructure firm Hindustan Construction Co closed down nearly 5.45% after the Indian Express newspaper reported, citing unnamed sources, that the government of Maharashtra is set to initiate criminal proceedings against top officials of its unit Lavasa Corp.
An HCC spokesman said he would not comment on speculation.